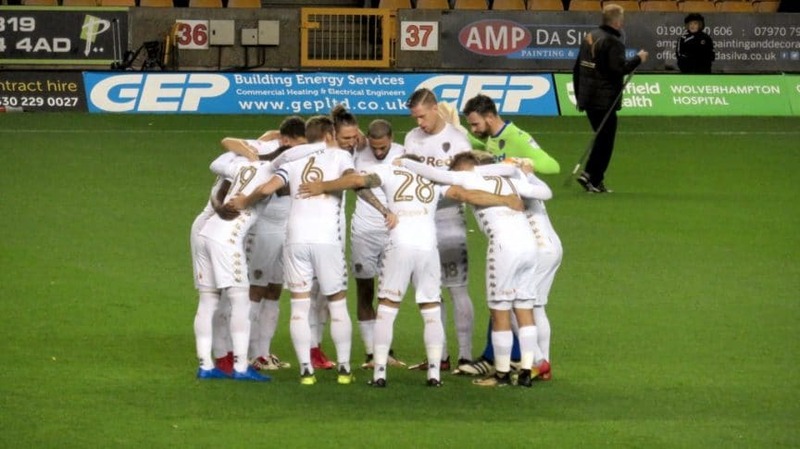 One of the problems with football, that should be remembered before Leeds United’s players are cast out into the wilderness and told never to show their faces in the village again, is that there’s always another team on the pitch. On this occasion it was Wolverhampton Wanderers, who are treating the Championship this season like a rehearsal for next season in the Premier League. Remember, Howard Wilkinson’s commandments for promotion included having players in Division Two who will be good enough for Division One. Wolves have followed that advice to its conclusion, and are now four points clear at the top of the table, with a positive goal difference of nineteen. They’re a Premier League team already, entertaining themselves with easy winning against the lesser teams already reeling in their wake. That’s no reason for Leeds United to have made it so easy for them, when Wolves have already made it so easy for themselves. Since Chinese conglomerate Fosun International bought Wolves in July 2016, they’ve spent £44m net on buying players, not including wages; according to Transfermarkt.com, anyway. Fosun can do that; they invest in pharmaceutical, mining and high tech industrial operations, retail brands, asset management funds, insurance companies, real estate, private hospitals, nightclubs and private equity funds — so much stuff, in fact, that the group annual report doesn’t even mention Wolves. The investment barely registers. The report does mention that the group made £1.2 billion profit in its last accounting period, and has assets worth £56.8 billion. So they can afford to let Wolves buy some good players, and they definitely have. It’s worth pointing out here, though, that the gross spending in Fosun’s two seasons breaks down as £32m last season and £19.5m this, because in their first season, all that £32m got Wolves was 15th. Last season they struggled, signing players on loan, like Cameron Borthwick-Jackson, until they could get to the fresh summer markets and fill the gaps that had been left after their first £32m round of spending. That’s not the only way to do it. Wolves are being chased at the top by Sheffield United, their veins full of the momentum that fired them from League One. But, despite our recent defeat, I’d give us a chance in a rematch against Sheffield United, while I’d rather we didn’t have to play Wolves again this season. At least it’s only once more, and at least there’s only one of Wolves. They’re going to beat twenty of the teams in this division this season. Leeds United’s challenge is to also beat as many of those twenty as they can, while Wolves do what Wolves are gonna do. Beating Middlesbrough on Sunday proved that is possible. The performance against Wolves doesn’t really affect that possibility, certainly nowhere near as much as the eight games before it did, games that remain much more worrying than whatever happened at Molineux. That’s still the form that has to be corrected, and that means a win at Barnsley, and a rerun of the Boro performance against Aston Villa. What the performance at Wolves did show was that the themes of mistakes and fragility continue to haunt us. It would have been nice to give the champions elect at least a little blood to wipe away from their nostrils, inside of letting Wolves grab our arm and slam our own fists into our face while yelling ‘Why are you hitting yourself?’ Their opening goal began with Ronaldo Vieira sucked into a battle for possession on the halfway line, when he could have been composed; as players closed in, he gave the ball to Gaetano Berardi, who tried to use his right foot and instead gave Ivan Cavaleiro the right wing. Liam Cooper brought him down, and only Andy Lonergan truly knows if Barry Douglas’ powerful free-kick was saveable, or as world class as it looked. Berardi couldn’t cope with Cavaleiro, but Cavaleiro wasn’t satisfied with only dominating him; soon he was causing problems in the middle, and when Wolves passed through Leeds’ centre from left to right, now it was Matt Doherty running at Berardi and passing inside to Cavaleiro, who turned past Cooper and shot past Lonergan. Wolves’ third followed a substitution; Eunan O’Kane came on in midfield, and he and Pontus Jansson left a bouncing ball to each other on halfway. That moment’s indecision unbalanced Jansson and made it impossible for him to stop Diogo Jota from running away with the ball, and when he got close enough, Jota easily chipped over Lonergan. Then Lonergan saved a shot from Helder Costa, but only parried it into the penalty area. His next stop, from Jota, was excellent; his next, on Leo Bonatini’s legs, gave Wolves a penalty, that Costa fired low into the goal. Lonergan got a hand on it, but he wasn’t going to save it. As they’ve kept doing since the match at Cardiff, Leeds let a promising start slip away, then demolished their own platforms as they tried to build back into the game. It’s like watching them play Pop-Up Pirate, as they gently put sword after sword into Wolves’ barrel, before hitting the wrong slot so the whole thing explodes. In the middle of it all was half-time, and a start to the second half that had aggression, intensity, and an outstanding goal for Leeds. From deep in midfield Samu Saiz got telepathic with Gjanni Alioski, and curved a high pass for him to run towards on the penalty spot. When Alioski got there his volley past John Ruddy was perfect. There’s got to be an elegant way of combining their names for moments like this for posterity; Saizioski? Samugjan? Gjamu? Alioskaiz? The goal deserved a better game, if not a better name. But Leeds United’s fightback, as with all their fightbacks after going behind this season, was ended by Leeds United. Hernandez lost the ball, and as Jota ran through midfield, Vieira stuck out a leg that caught him as he dashed by. A minute or so earlier, Vieira had ended a promising move for Leeds by passing a ball wide straight out of play, and now his desperation for amends was ending with a second yellow card. Saiz danced a jig of anger in front of the referee, Thomas Christiansen went looking for the fourth official, and Vieira just covered his face with his shirt. Then, as they were each substituted, Hernandez aimed a kick at a bag in front of the bench, Saiz at a waterbottle; the frustrated gestures of frustrated players on a frustrating night. Up against a better team, they let them play like a better team. That might have been okay in a League Cup match, like when Leicester City brought Mahrez and Vardy from their bench to ease past us a few weeks ago. But Wolves are nominally in our league and that means three points at stake, and pride too. But how could Leeds have beaten Wolves? Ninety minutes of the early second half intensity would have left Leeds exhausted and easy to pick off when Helder Costa — who cost more than Saiz, Jansson, Alioski, Ekuban and Roofe put together — came off the bench. A proper Championship left-back? Never mind that, Paulo Maldini would have struggled against Cavaleiro, with Hernandez in front of him; we only have Cameron Borthwick-Jackson anyway, and Wolves know all about him. Stuart Dallas, then, to graft harder than Pablo? Well, he still would have been in front of Berardi. There’s not much to choose between O’Kane, Vieira and Phillips in the middle; perhaps Vurnon Anita might have been worth a try, although I worry that his ability in central midfield is being hyped beyond any of the reports Newcastle fans have about him there. Mateusz Klich, too, is in that category of being worth a try because he isn’t being tried, but when he has been tried, he hasn’t looked like he’d alter a game like this. A different striker? Now this I could get behind. Kemar Roofe had no service anyway, so we should have played Tony Yeboah, just to celebrate his life. A different goalkeeper? Well, it’d be nice to play a game without conceding soft goals and penalties, so maybe. But looking through the squad, you could make any changes and still get the same result. Leeds United just don’t have the players to fight and scratch their way through games against opponents with the class of Wolves. Neither, as it happens, do Wolves, who have been beaten by the agricultural approaches of Cardiff, Sheffield United and QPR this season. Both Wolves and Leeds are set up as dangerous attacking sides, with an abundance of flair, and neither is built for war. The difference is that Wolves’ dangerous attackers cost many millions more than Leeds United’s, and already have their season of underachievement behind them, their lessons learned. Leeds United’s owner can’t compete with Fosun’s spending power and he’s not going to, so there’s almost no point worrying about it. Almost every aspect of Leeds United, when Andrea Radrizzani took 100% ownership, was stripped to its minimum and underperforming. Radrizzani says he’s in this for five years of sustainable growth, improving the football club as a business so that it generates more money in the future to spend on the pitch, and improving the football club’s structure so that its scouting and recruitment teams, that were non-existent until this summer, spend that money wisely. 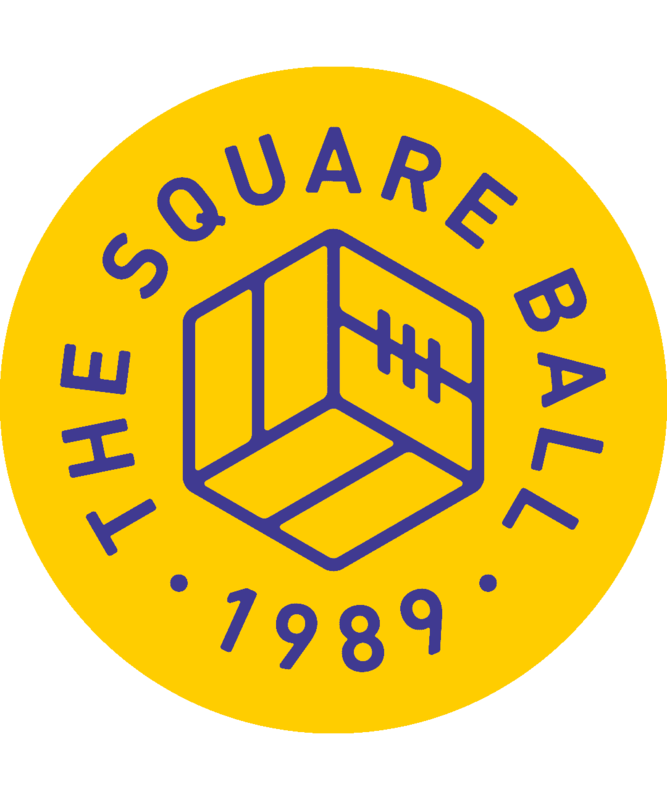 Five years is the length of time that Radrizzani is prepared to underwrite losses in the Championship without promotion to the Premier League, but even if he fails, the club he hands over should be a much healthier entity than the one that has been passed from hand to hand, leaking money like a burning piggy bank, for the last fifteen years. That in itself ought to mean something — that Leeds United are no longer a club trying to jump from the roof to the moon, while its lower floors are burning. What we have now is what we can afford now. What we can afford in the future should, in theory, be better, even without a sale to a Chinese conglomerate. It won’t be what Wolves have been able to afford, but at the end of every season, Wolves or a club following their plan will only occupy one place in the league table. Whatever Wolves do, the five places below them remain up for grabs. If we can’t imitate Wolves pound for pound, where we can imitate them is by acknowledging that whatever plan you have, instant results are unrealistic. Last season, £32m bought Wolves a run from September to December with only three wins in sixteen games, and a run of five defeats and a nil-nil draw from February into March. That was followed by five wins in a row, but even that gave way, as they ended the season with two wins, one draw and four defeats. We can wail about a lack of ambition for instant promotion this season at Leeds, but Fosun’s highly spent ambition only got Wolves to 15th in the table at their first try. But, crucially, that first season’s worth of knowledge helped them solve the problems for season two, and that’s the part of the plan that scales, whatever your budget. And it’s what Leeds can emulate, given the time. Because it takes time to learn things. At the moment we know what Pierre-Michel Lassoga can do in ten matches, for example; we’ve seen Caleb Ekuban for around an hour and a half. We might view their abilities very differently by May. But not until May. And May’s knowledge might be worth as much to the club as a new signing; if Ekuban blooms as Wood’s heir, that will represent a significant outlay the club doesn’t have to make. But nobody can make that call now, and now might not be the best time to make it anyway. If the club does need a new goalkeeper, a new left-back, a new striker, then so be it, but the ones we’ll be able to afford in January ought to be better than we could have afforded in summer, before ticket sales had increased so dramatically, and new sponsors had begun showing interest; and the ones we can afford next summer ought to be better still. If that’s what the club are building towards, and the signs suggest that’s so, then it’s not a path that should be worrying us now, six weeks away from a transfer window. Between now and January, we play Barnsley, Aston Villa, QPR, Norwich, Hull, Burton and Birmingham. That we can’t beat Wolves signifies nothing. But if we can beat Boro, we can beat that lot, and that’d do. The club expects to be, and is planning to be, in the Championship next season; unlike Wolves, who expect the Premier League. But we are unlike Wolves. We haven’t spent like them, but more importantly, we haven’t learned like them. This season will be tough, and this defeat to Wolves felt particularly depressing. But after all this, in summer, there will be fewer arguments, and less tension, because Leeds can make decisions based on knowledge, not conjecture.